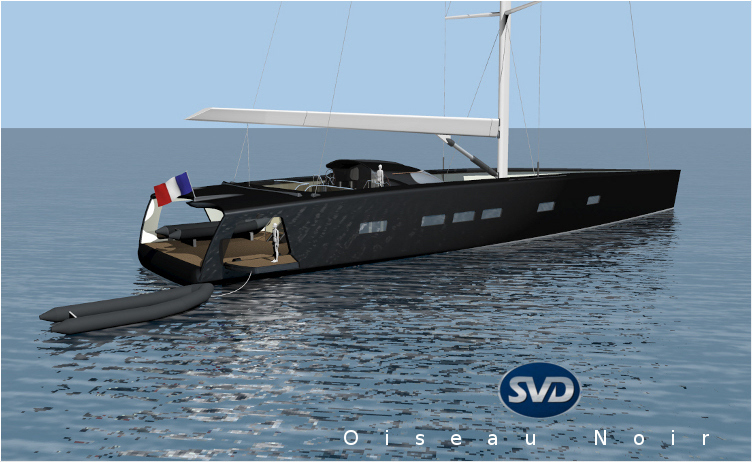 Oiseau Noir is born for sailing hard. 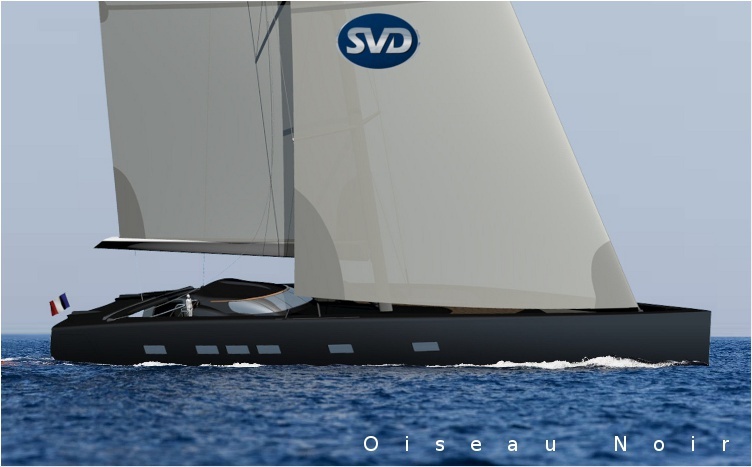 Sailing fast, very fast, with no effort and minimal crew. 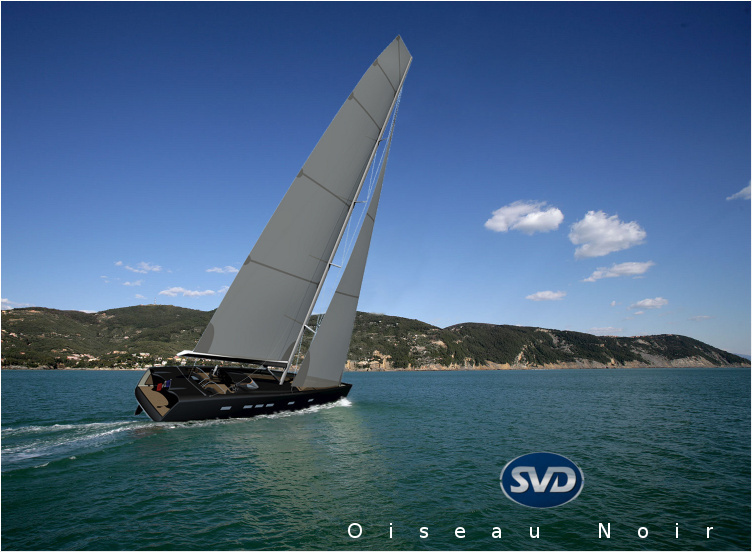 This is what Oiseau Noir can do, designed for speed and fitted with automated sailing systems for more comfort and safety. 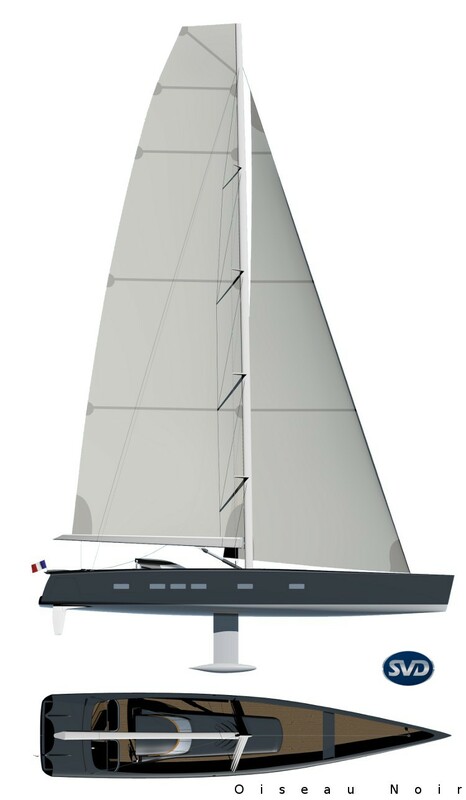 A powerfull hull and a deep bulb keel will ensure very high speeds. 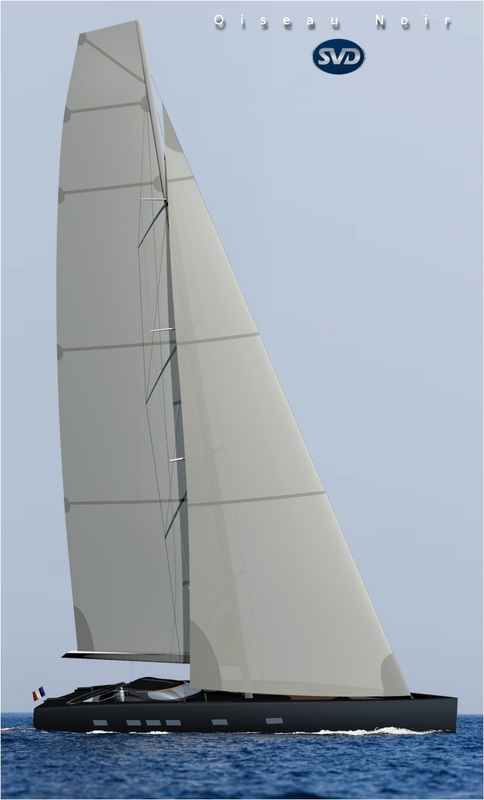 The keel can be lifted up to reduce the draught from 8.00m to 5.50m. Mezzanine with access downstairs through a main ladder. VIP Cabines in middle section, with side portholes. 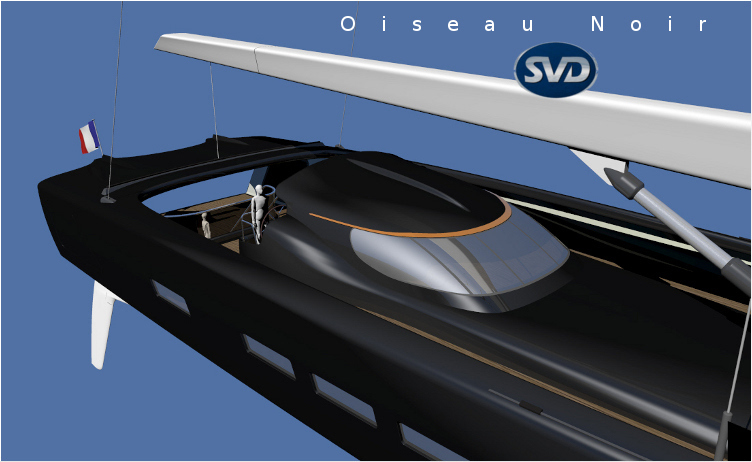 Mess and galley in aft part. 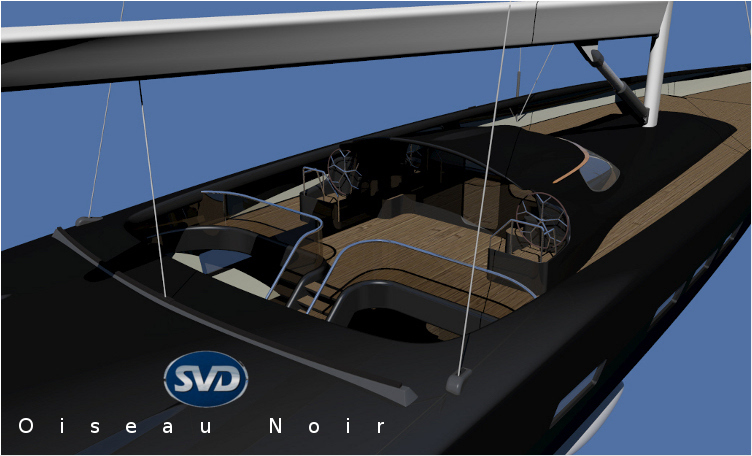 Covered aft part, with main deck saloon, and extreme aft part dedicated to tender storage and bathing activities. 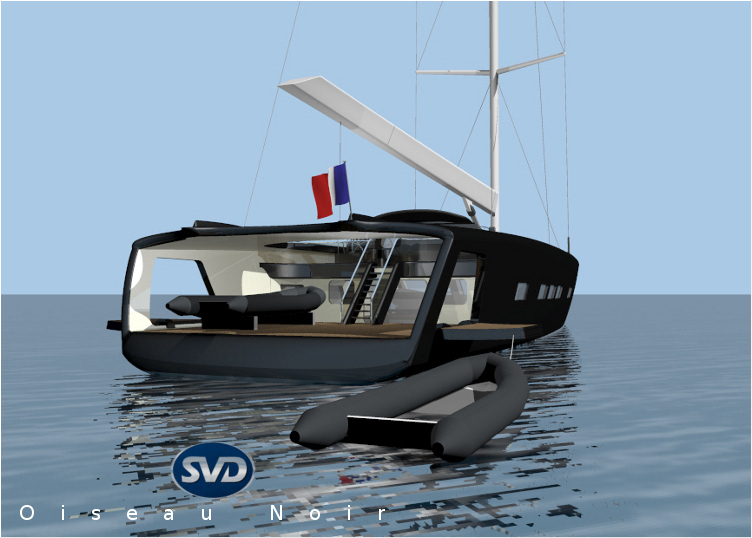 Two side doors can be opened on the sheel to extend the area dedicated to resting and sunbathing. 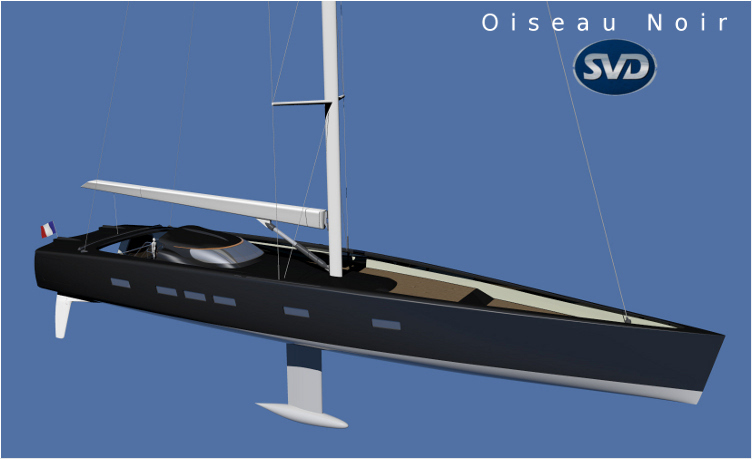 This concept is under development. 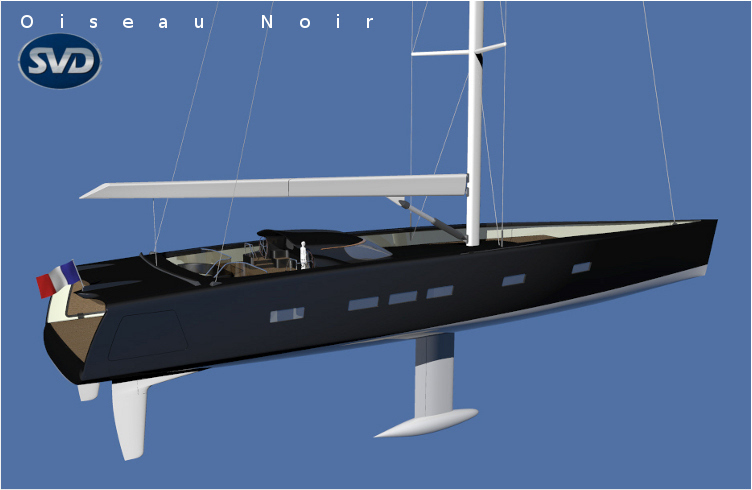 Don't hesitate to contact me directly if you are interested in Oiseau Noir.